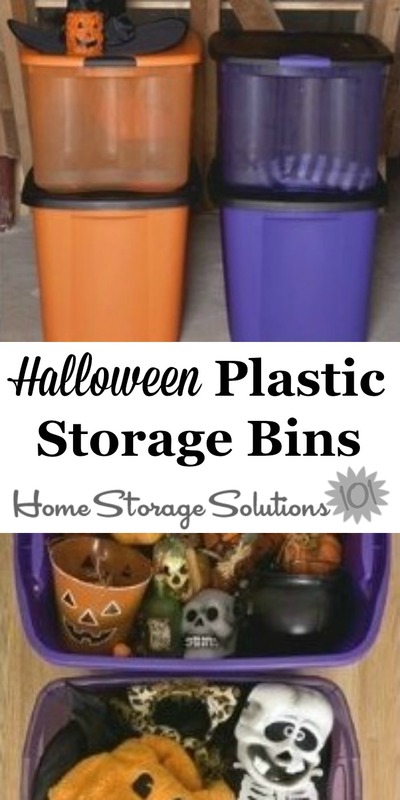 Halloween plastic storage bins, in either orange or purple, or some of each, can be a great way to store all your Halloween decorations so that you can easily find them the next year when you want to dig them out again. Halloween has gotten to be a pretty big holiday all on its own, instead of just one of the holidays leading up to Christmas. As a result people have started accumulating lots more decorations to put out year after year. Of course, these things are only out in your home for about one month of the year, during the month of October, and then they have to go somewhere else in storage for the other eleven months. 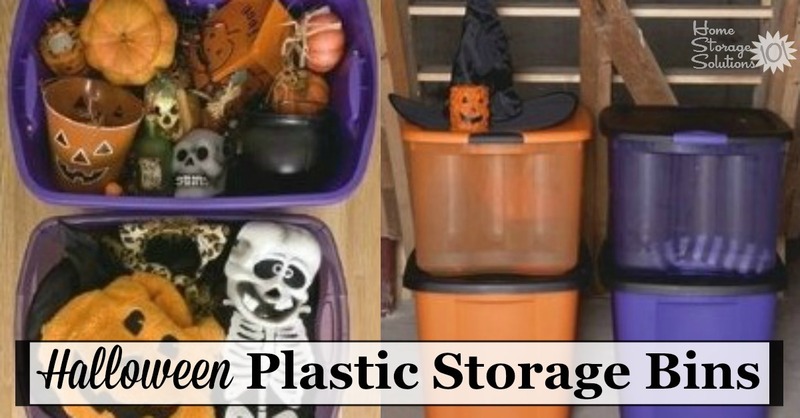 There are, of course, lots of ways you could accomplish your Halloween storage. One of the ways I recommend is to use plastic storage tubs, but of course if you have a lot of these tubs or bins quickly figuring out what kinds of items are in which tub can be difficult to do. 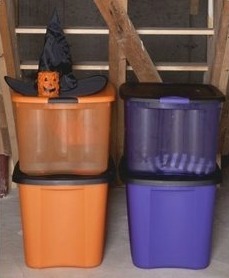 One thing I really like about these Halloween plastic storage bins is that they come in Halloween colors of orange or purple. This means that when you're scanning through lots of bins in the garage, basement or attic you can just intuitively know these are for your Halloween decorations storage and grab them right away instead of having to peek in lots of different boxes to find the ones you need. Please note that these bins are sold from Walmart as a set, meaning you'll need to be purchasing at least eight as part of an order. 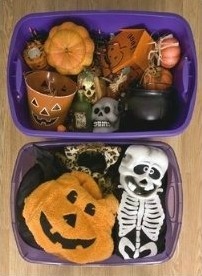 Do you have any other ideas for Halloween storage? If so, tell me about them in the comments below.